Liberalising the gaming sector heralded several changes, including one that is seldom looked at – junkets. Carlos Siu Lam, an associate professor at the Gaming and Teaching Research Centre at the Macau Polytechnic Institute, says a major theme has been the increasing influence of mainland operators. 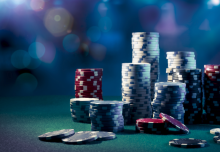 Many junkets operating in the mainland are not officially registered with the Gaming Inspection and Coordination Bureau, making better regulation a concern for Macau. Mr Siu’s remarks were included in “Changes in the Junket Business in Macau After Gaming Liberalisation”, a study published in August’s edition of International Gambling Studies. The conclusions were based on a series of one-on-one interviews with junket executives and government officials. Prior to deregulation in 2002, Mr Siu says Macau and Hong Kong businesspeople took an active lead in promoting the casinos. The individual visit scheme, introduced in July 2003, changed that. The scheme originally allowed mainland tourists from four Guangdong cities to travel on their own to Macau. The scheme has since been extended to 49 cities. With the mainland becoming the dominant source of visitors to Macau, it has had obvious impacts on the junket business. “As junket activities like patron recruitment and gambling debt collection are primarily conducted in the mainland… and given junket operators’ preference for working with ethnically homogeneous groups, the previous active role played by local people is gradually being replaced by the mainland Chinese,” Mr Siu says. Sociedade de Turismo e Diversões de Macau SA informally outsourced some of its private VIP rooms to third parties in 1984. The junket model was born. VIP room contractors and junket operators worked under informal contracts and were offered a share of the rolling-chip turnover. Sociedade de Turismo e Diversões de Macau was banned from issuing credit, leaving the room contractors and junket operators as the sole issuers of gaming credit. Mr Siu’s research includes confidential information that there were 243 VIP rooms in Macau in 2012. The number had more than doubled in three years. The government does not provide official data on the number of VIP rooms. The government requires junkets to be licensed but “it appears that the licensing process has not been effectively enforced,” he says. Some mainland junket operators skip registration “to evade the formal institutions in the mainland, and to avoid getting tracked and blacklisted by the authorities”. Official data published in January shows the city had 217 licensed junket operators. Mr Siu says the number of licences issued seems to be much smaller than the overall number of operators as indicated by private sources. While unlicensed operations may be more flexible, there is “less incentive for them to pay much attention to the legality of their practices and the public image of Macau’s gaming industry”. He recommends the government look into the matter.